If you are the organiser or a participant on any event and you would like to submit a report to share with others, in particular those who didn't attend this event so as to let them know what they missed out on, please email your report along with any photos to John and Viv Eames. Remember fresh content keeps the site up to date and interesting for our members and any visitors to the website. 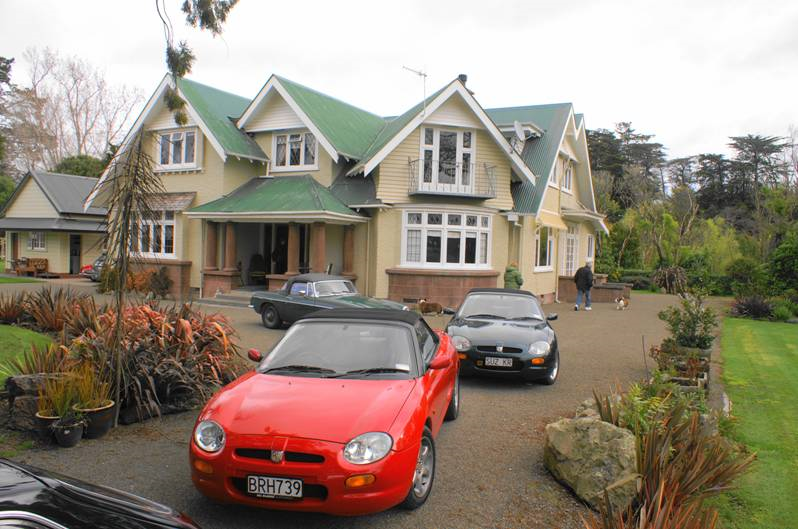 An interesting run with lots of local flavour around the Manawatu region. This run required some teamwork and a few little challenges thrown in to keep everyone's minds focussed. Well done to Robert for organising another interesting event with a difference with his 'rally' type theme. Read the report below and check out the competitors placings! Ducks, Polar Bears, Pink Flamingos, a Treehouse, Hurricanes, Snow, Cheese Muffins, a Gong and a Red Lion! What on earth could all these things have in common with each other? 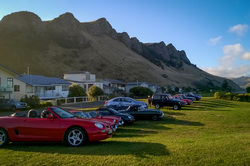 They were all part of the Taranaki Overnighter Round The Mountain Run of course! 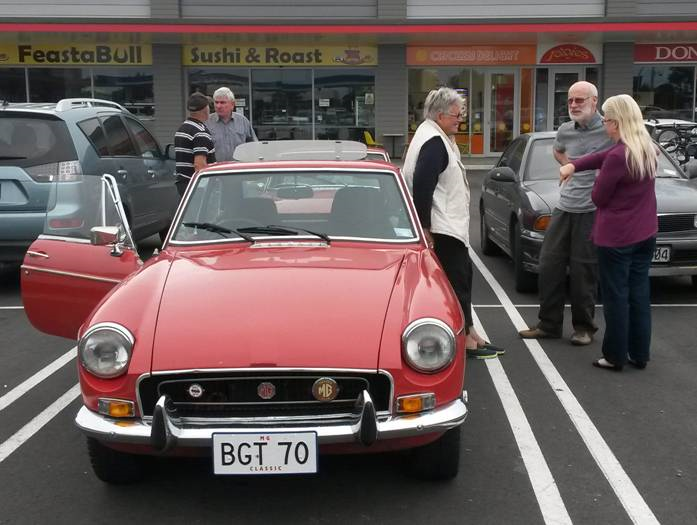 Yet another very well supported and attended event with all the main ingredients that MG Manawatu is synonymous with - great people, fantastic scenery and touring roads, lots of banter and chit chat mixed with plenty of great food and refreshments! 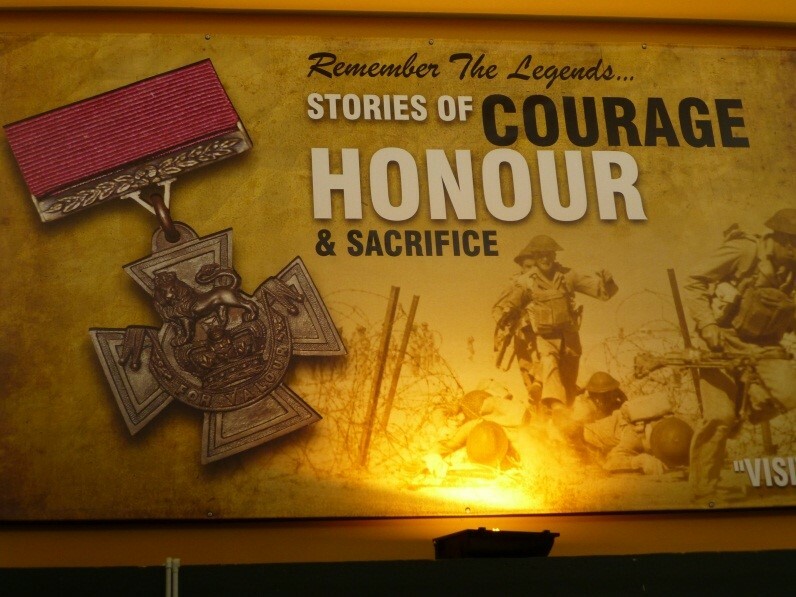 Rob Illingworth has written a very good account of this event - read and enjoy below. Plus some images arriving into the gallery and remember to comment on the blog page too! 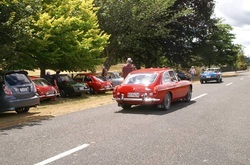 An MGCC Wellington event but jointly organised with our very own John and Viv Eames saw eleven cars from both Wellington and Manawatu taking part in this run. 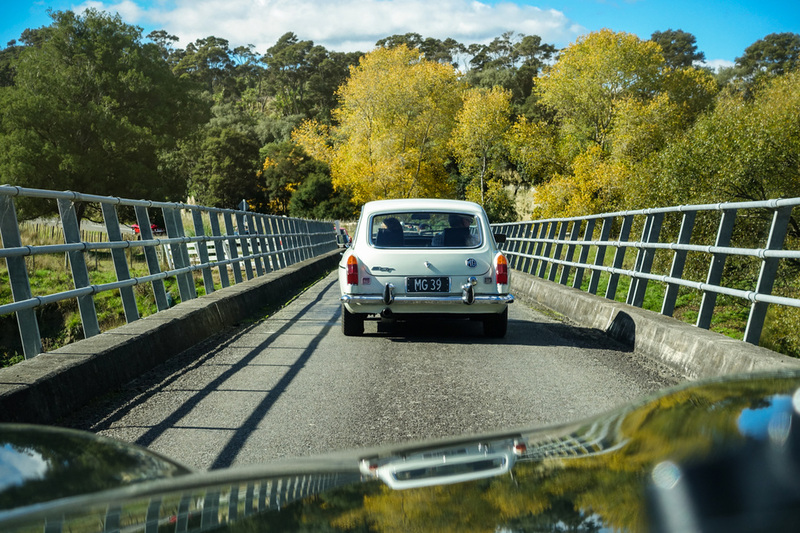 A perfect autumn day coupled with a good selection of cars, colourful autumn scenery and great people made for a very good day out and a nice way to see out summer. Dom and Jennette Scott have sent in the report below for you to read along with some photos in the gallery. Sue Forde has sent in this report of the "Kai to Kai" run. Have a read of this great report of this most interesting of runs. Quite a scenic run with plenty of "kai" along the route to keep everyone happy and refuelled. Do you have any images from this run you'd like to share? Send them in and they can be added to the gallery also. Sunday 22 March saw 28 people assemble outside the Sanson Club at 4pm for a run out through the Santoft Forest, back to the new shopping centre at Bulls for a rest stop and then past the underground bunkers at Ohakea and on to Halcombe Square (where we tried to rid the Triumph from our midst but unfortunately there was no train in sight). We carried on down Te Rakehou Road on to Sandon Road and then to Lees Restaurant in Feilding for a meal that was well worth waiting for. I am sure we all paid on a weight gain basis! With the success of this kind of run I think perhaps the club should look at this format again in the near future as I feel a quick short run followed by an evening meal or noggin and natter is perhaps something we lack compared to other clubs. Many thanks John and Carleen. Another superb event from MG Mangaweka - people, cars, venue, scenery, food, activities, roads, weather all perfect. What more could you possibly add? This event even had a bit of a sting to it - read John's report below and check out the photos in the image gallery. 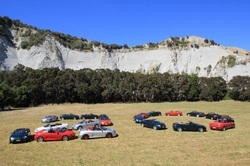 A good number of members turned out on a beautiful day on Sunday 15 February to help plan the MG Manawatu year. So many suggestions and willing organisers came forward to create another lively calendar that some very good runs are waiting for next year. 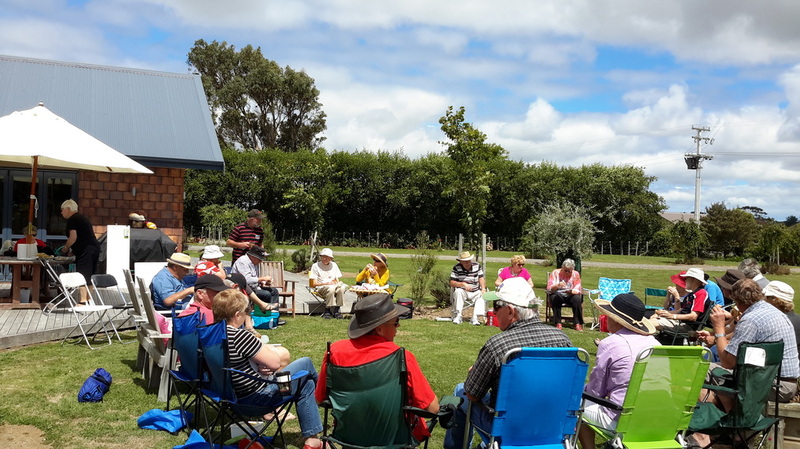 The idea of gathering on a Sunday afternoon to plan the group's activities for the year was a departure from tradition which seemed to be very well received. The occasion was certainly enhanced by the lovely surroundings kindly provided by Graham and Belle Ellis. As always the organisers will be putting time and effort into arranging your events and it is very good to have newer members involved in running some of them. 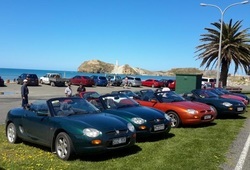 Let's support all the organisers by getting out in our MG's and enjoying the fun and camaraderie MG Manawatu is renowned for. This years annual British Car Day sounded very promising as usual, particularly with the various clubs featuring British V8's from their respective marque. The weather was spot on and the venue at the Trentham Memorial Park is picture perfect for holding a car show. You have no idea you are in a built up area with major roads either side of the park and plenty of space to spread the cars out. Just as well as this year there was a great number of cars on display from just about every British marque imaginable: MG, Rover, Morris, Austin, Bentley, Jaguar, Rolls Royce, Morgan, Land Rover, Vauxhall, Ford, Hillman, Alvis, Sunbeam, Daimler, Lotus etc... along with an interesting display of British Motor Cycles. MG was well represented with approx. 40 cars on their stand along with a few others scattered around at other British club stands. 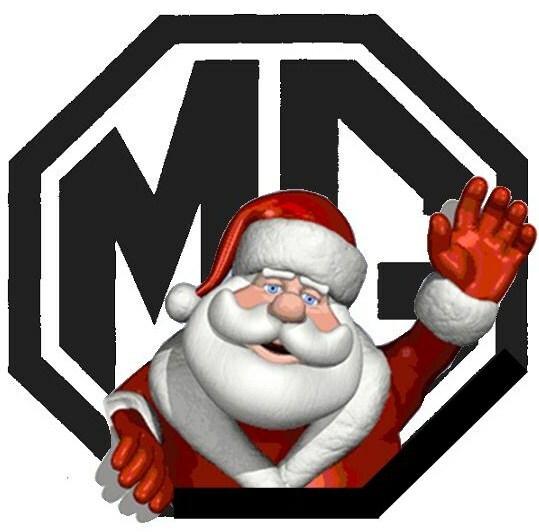 MG had 7 V8's with 3 RV8's, 3 BGT V8's and a ZTT V8 wagon. 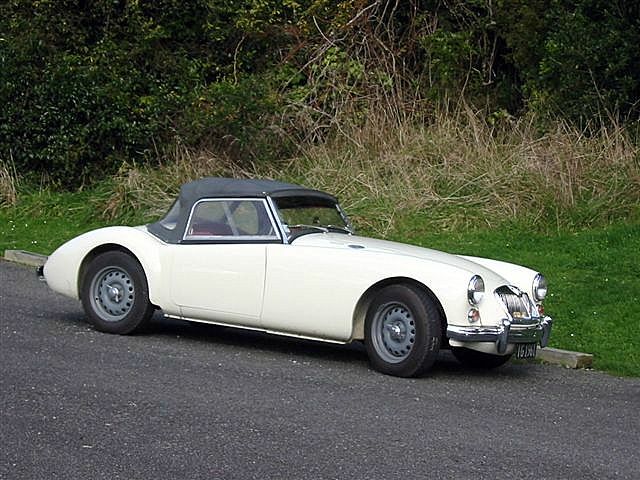 Also Midgets, MGA's, B's and BGT's, T Types, modern F's and TF's and a couple of the very new MG3's to name just a few - some pictures in the gallery page. Plus a brass band in the MG tent - all very enjoyable. Everyone had a great day enjoying not only the hundreds of cars on show, but catching up with friends over lunch or a coffee or a walk around. 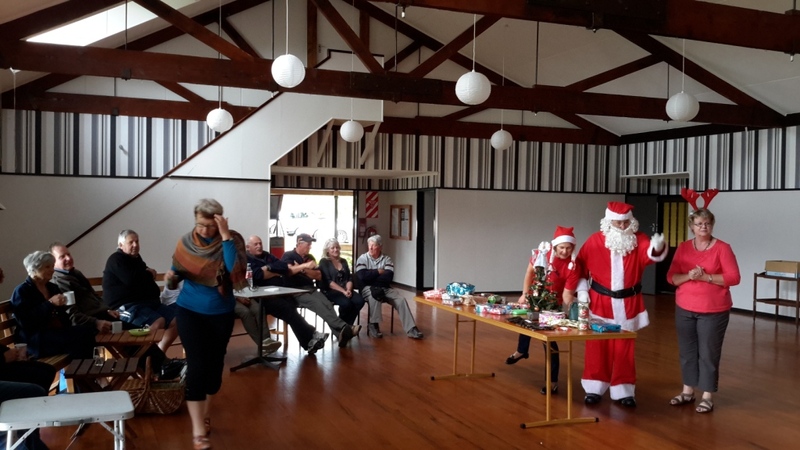 Great to see from the MG Manawatu Group John Eames, Ian Sommerville, Sandy and Trevor Hardy, Anne and John Ireland, Dominic and Jennette Scott all enjoying the day out. Next year is the 30th anniversary for this show so will no doubt be a 'biggie' - if you've never been before it's definitely worth the visit and of course you're also helping raise funds for the local ambulance service. Read the report below kindly sent in by Liz Morris and some photos courtesy of Robert Wilson added to the gallery for this year. A great run again - best cars, great people, scenic drive and plenty of good food - setting the scene for the rest of the year! 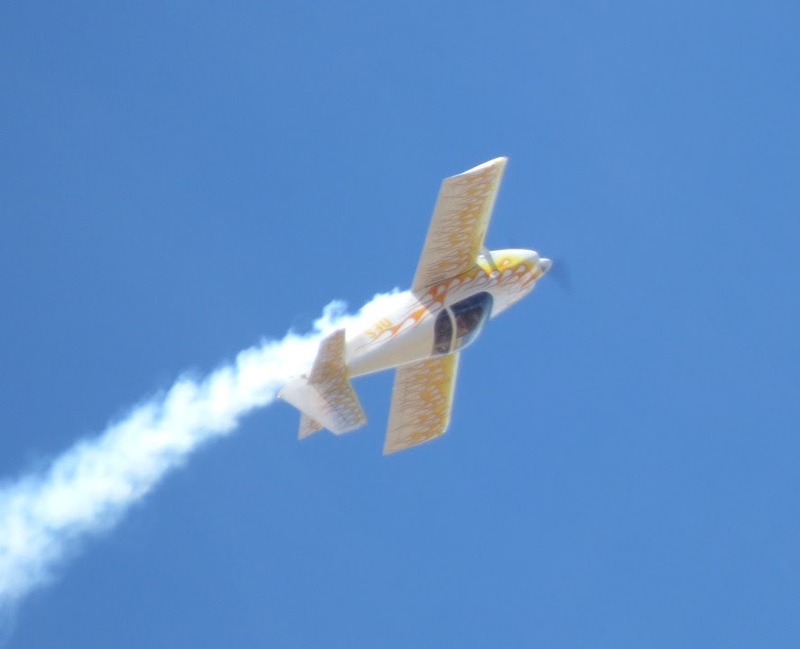 Another year underway and the first MG run was another great day at the Wings Over Wairarapa Airshow. 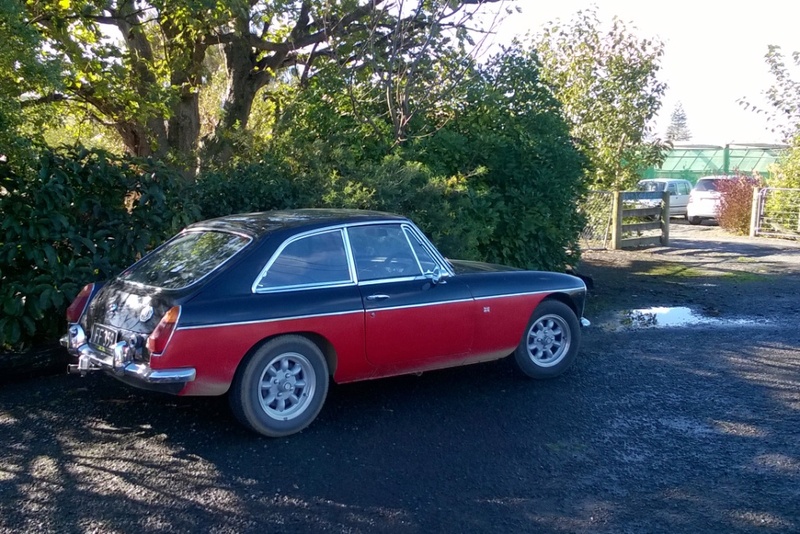 Always a popular day out with so much to see and do and of course share the experiences with your MG friends. A great day out deserves a great report as well....read below and remember to send any images in and to comment on the blog page and get it up and running for the year!